It is remarkable to learn that Baijiu is the number one consumed spirit on the planet, outselling whisky, vodka and all other spirits, yet most people have never heard of it, and would struggle trying to pronounce it. Baijiu is pronounced “Bye-Joe”, meaning“clear liquor”. 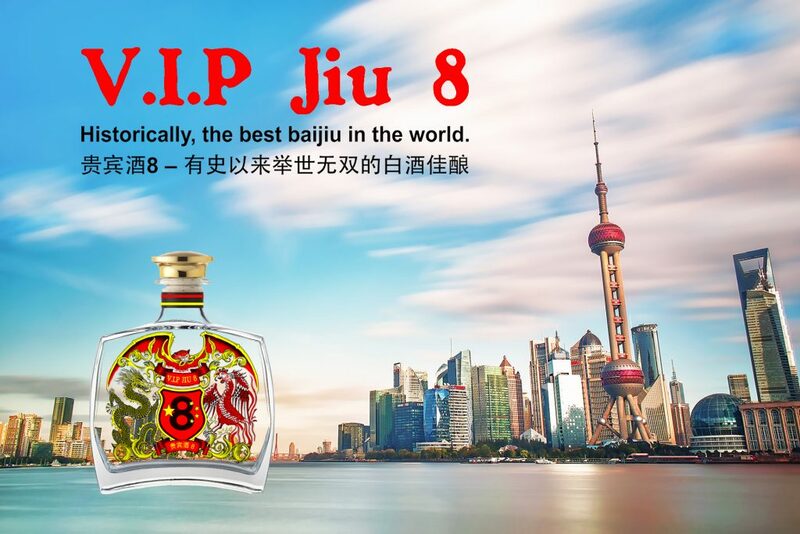 In 2017, there were sales of U.S $89.8 billion, and more than 1.5 billion gallons of Baijiu were sold in 2018. 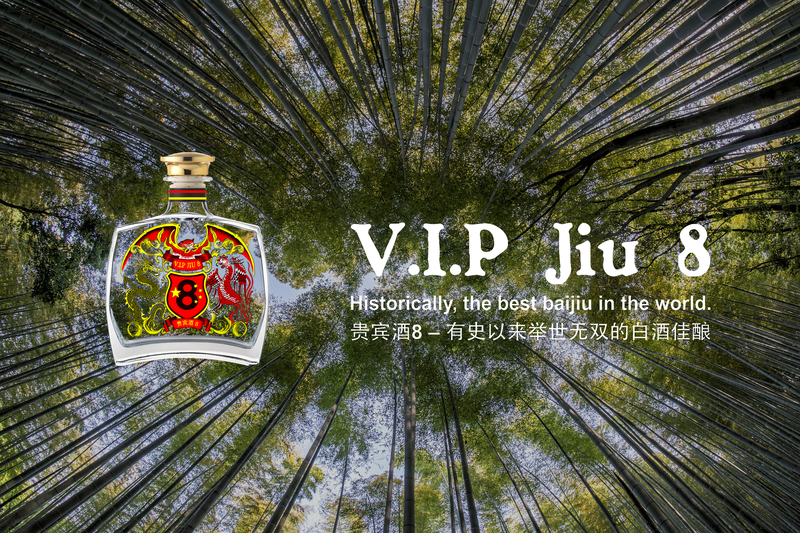 Much in the way whisky is revered as being Scotland’s national drink, with a storyand history that makes people love the product on a deeper level, the same and thensome can be said for Baijiu. 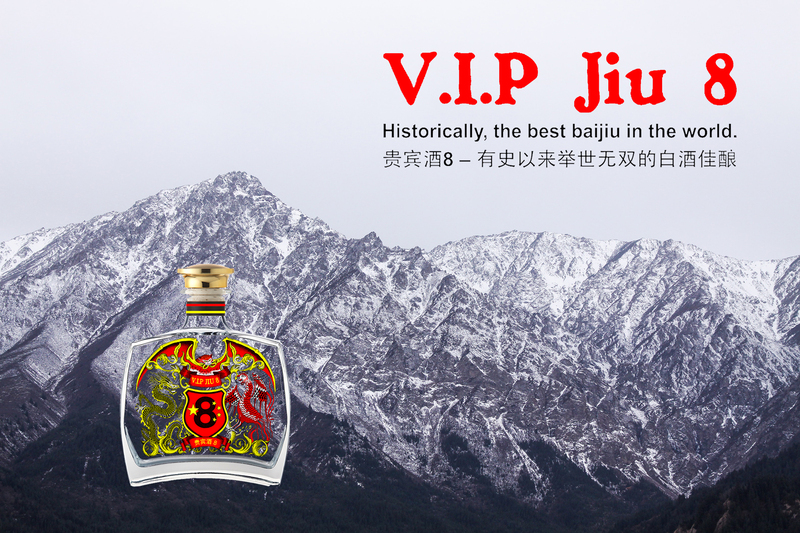 Baijiu is the national drink of China and with some distilleries dating back thousands of years, it is a drink of cultural and national importance. 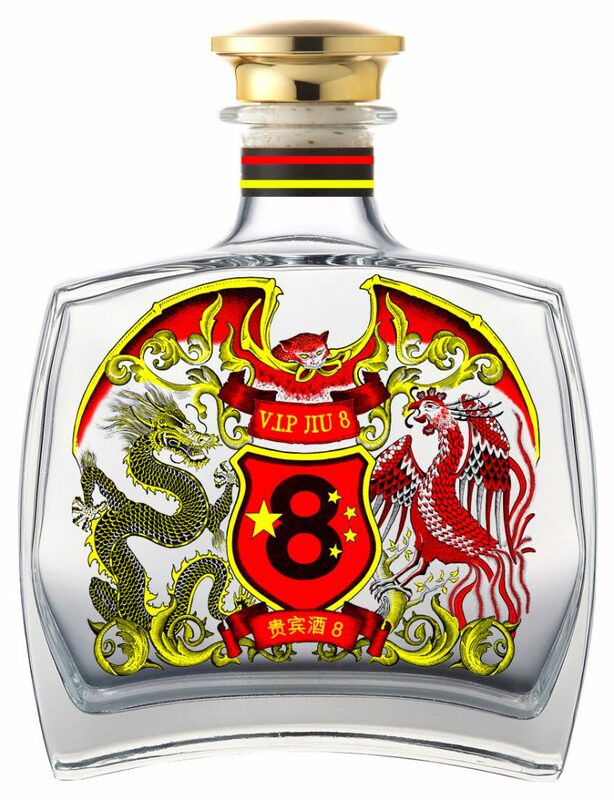 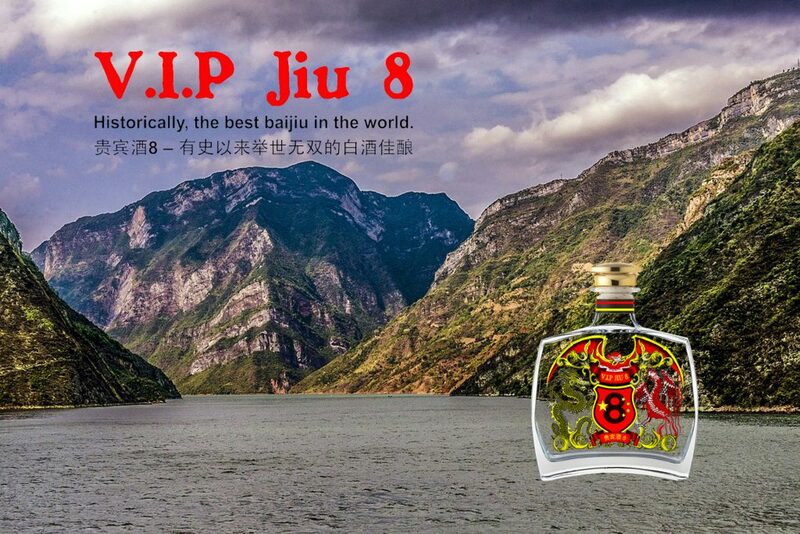 V.I.P Jiu 8 is the U.K’s first authentic Baijiu produced right here in Britain. One man’s oversight is often another man’s good fortune, and such is the story behind V.I.P Jiu 8. 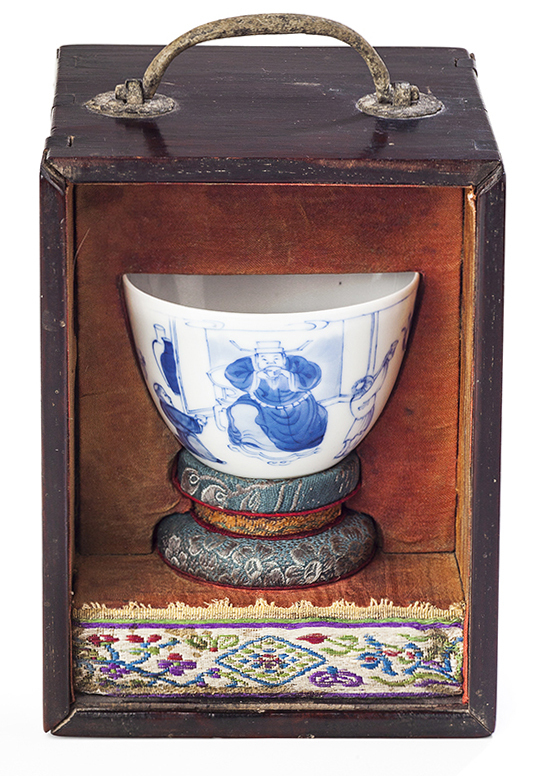 At an auction in southern England, a modest looking chipped and cracked Chinese wine cup was up for sale. 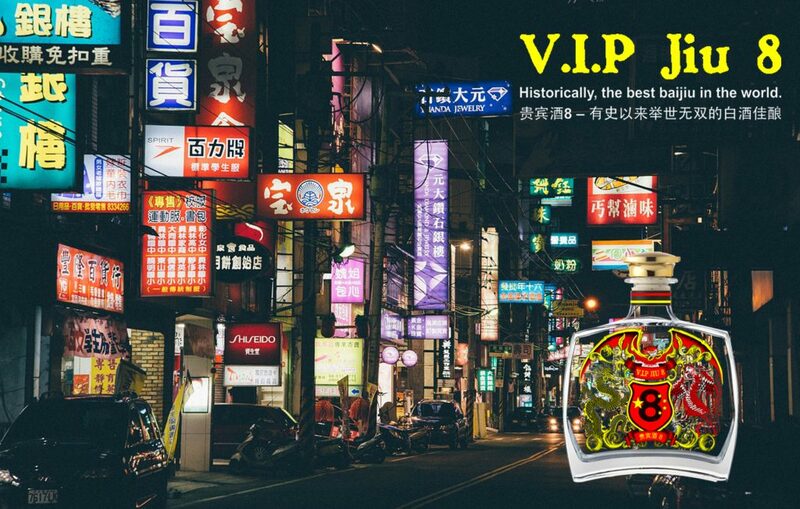 But an incorrect attribution ensured little interest, even though the sale was viewed by some of the worlds most successful Asian art dealers. However, one of them recognised the piece as a genuine lost, undiscovered piece from the Imperial Chinese collection, once housed in the Forbidden City during the reign of Kangxi. 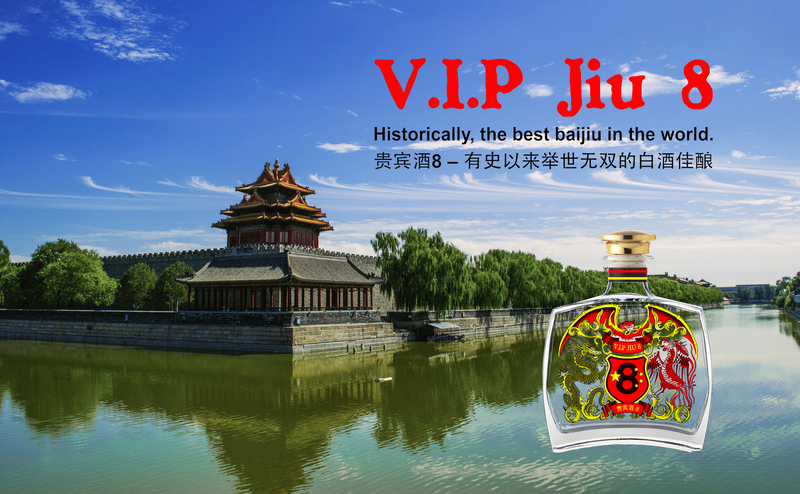 The Kangxi emperor was China’s longest ruling emperor (1654-1722) and is still revered as one of the Greatest of all Chinese Emperors. 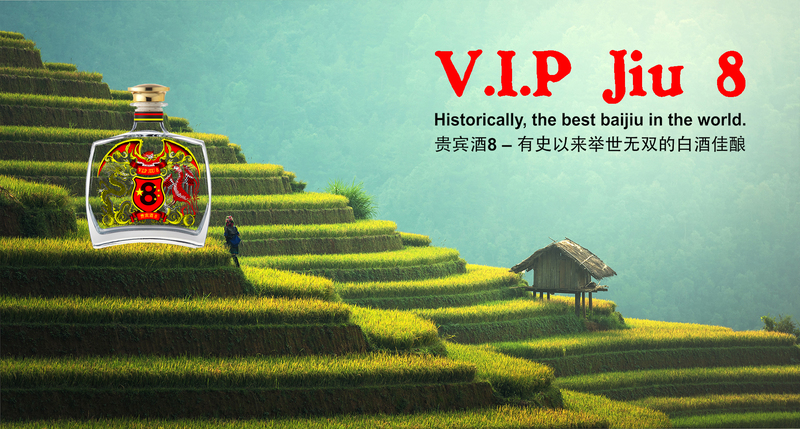 During a reign of 68 years, Kangxi brought stability and prosperity to China after aprolonged period of chaos and war. 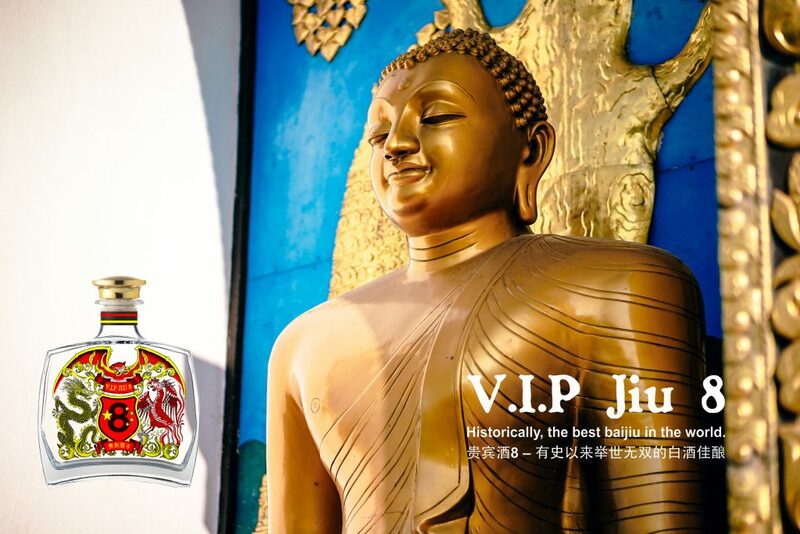 His reign was exulted in the intervening years after his death and remains a period of great renown in China. 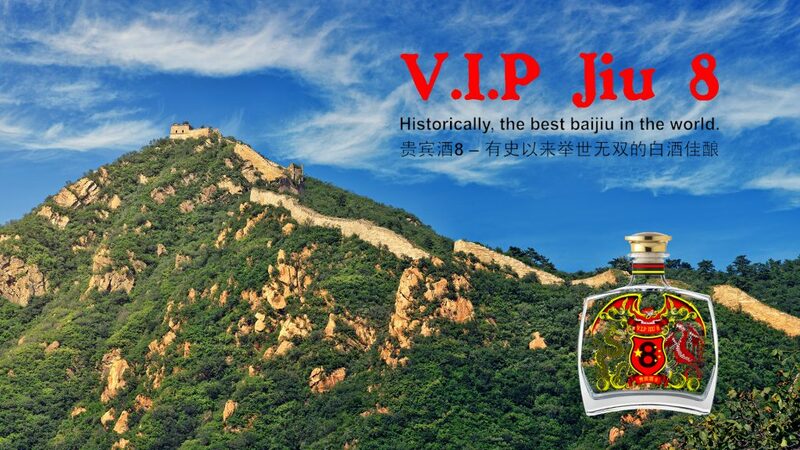 The reign of Kangxi was one of great pride for the Chinese people. 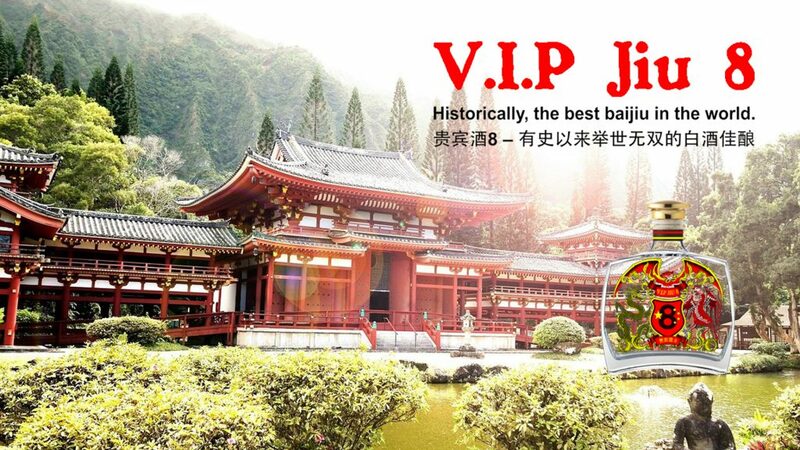 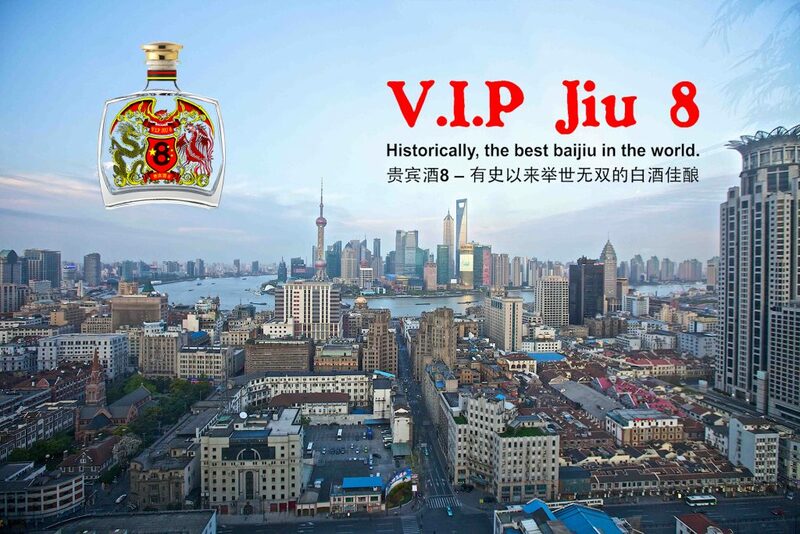 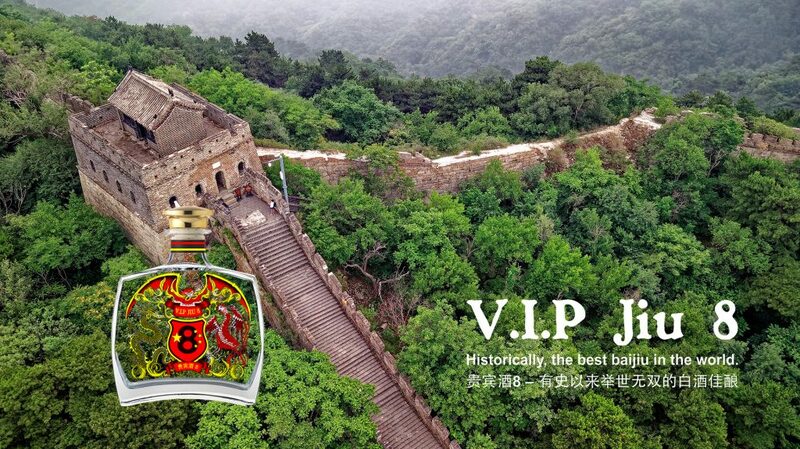 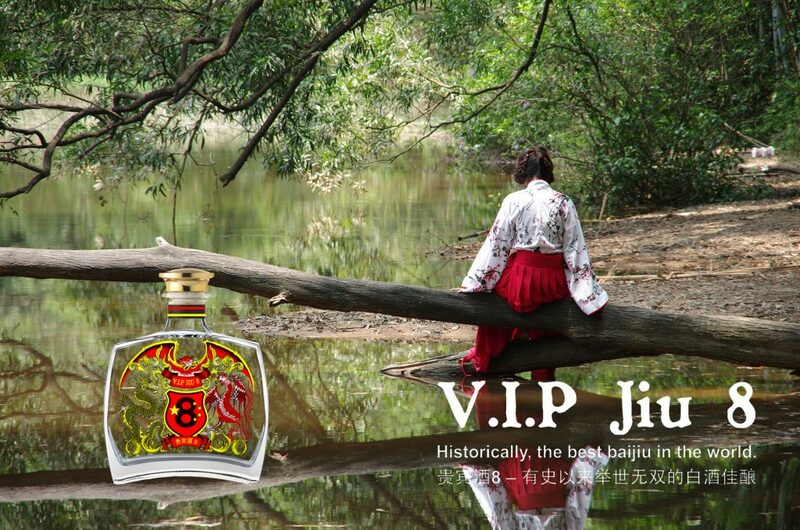 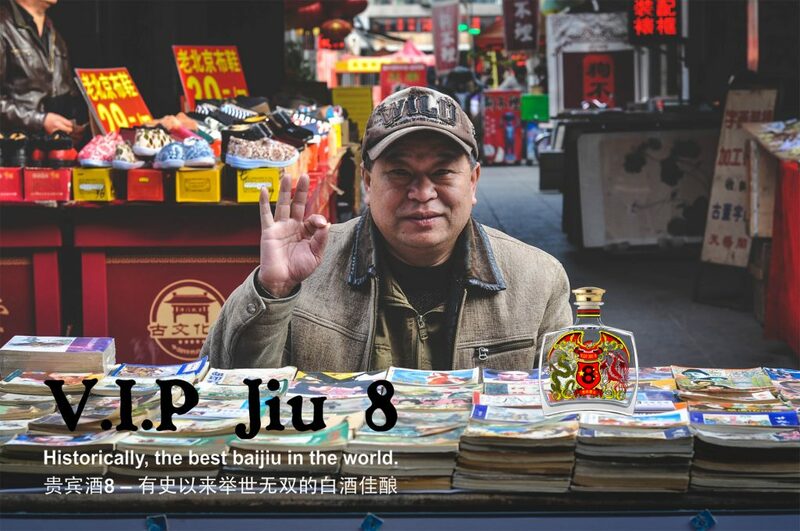 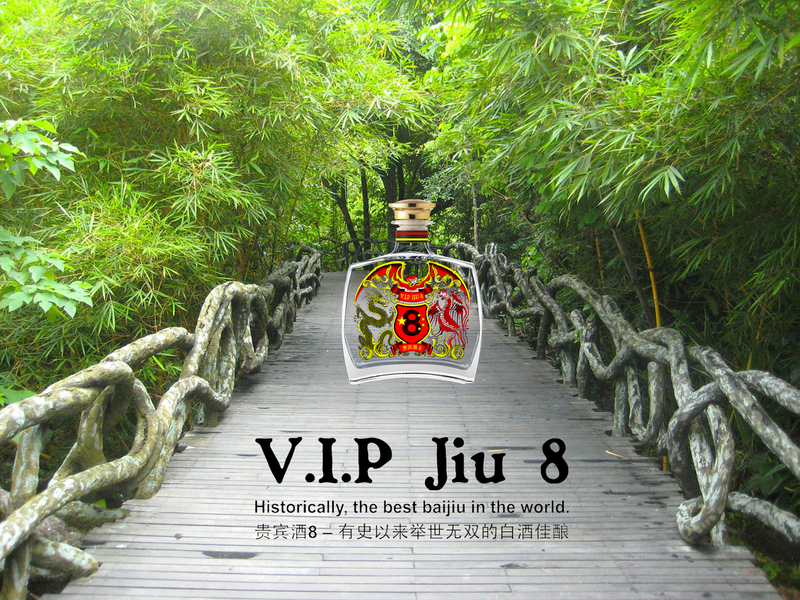 V.I.P Jiu 8 is historically the best baijiu in the world. 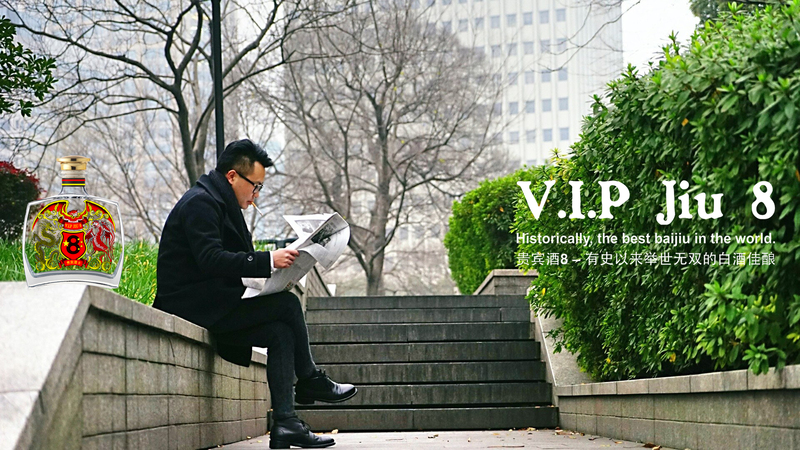 For the last 12 months, the team behind V.I.P. 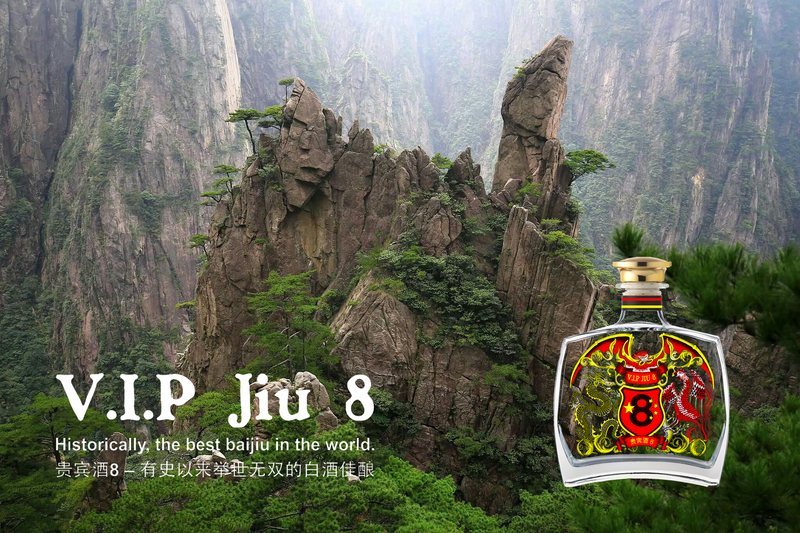 Jiu 8 have worked tirelessly with expert distillers, blenders and brewers to bring this ancient imperial liquor back to life, while consciously ensuring the authenticity is not lost or compromised during all aspects of the production process. 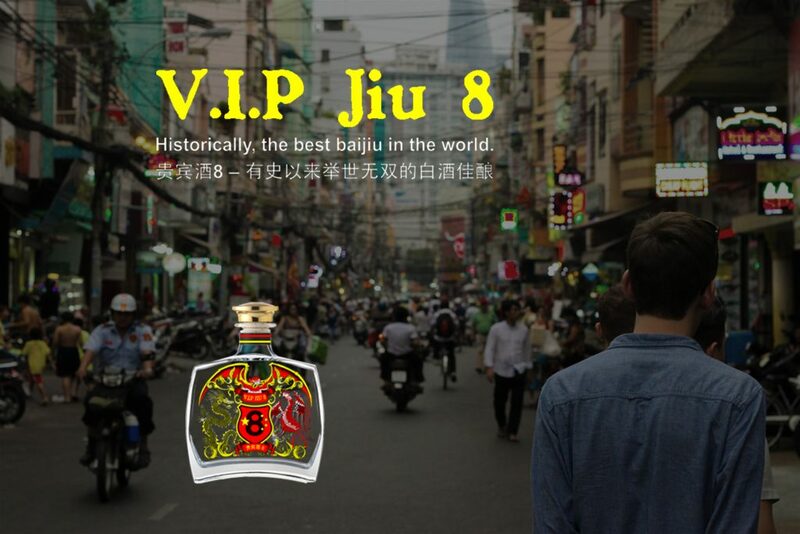 After several successful test runs it can now be announced V.I.P Jiu 8 is ready to go into production. 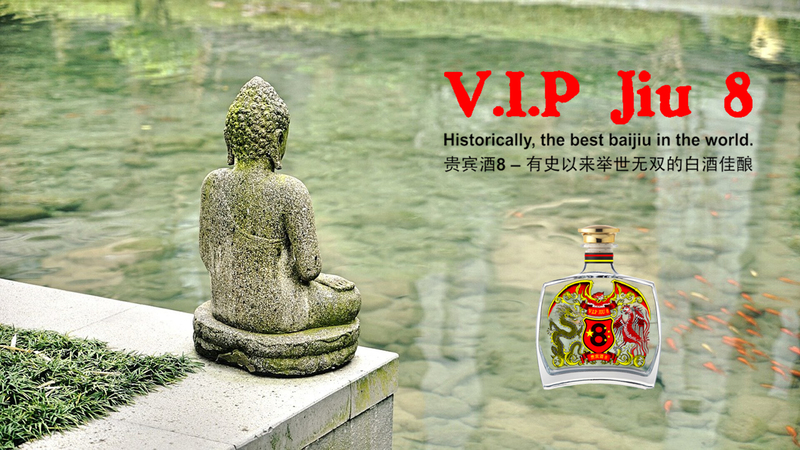 The extremely rare Kangxi mark and period imperial cup that hid an astonishing secret for over300 years. 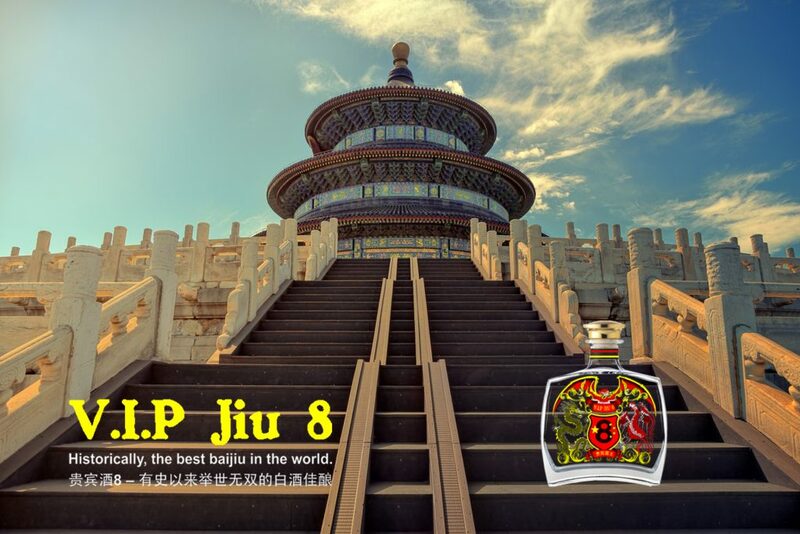 A cup that once resided within the walls of the most powerful, mysterious and highestseat in the land. A connection straight to the heart of imperial China, and one of her greatest, most celebrated and respected emperors. 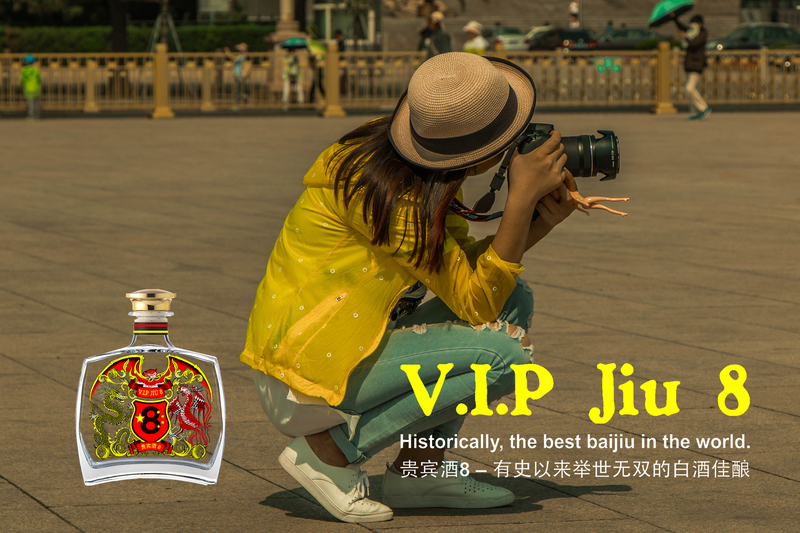 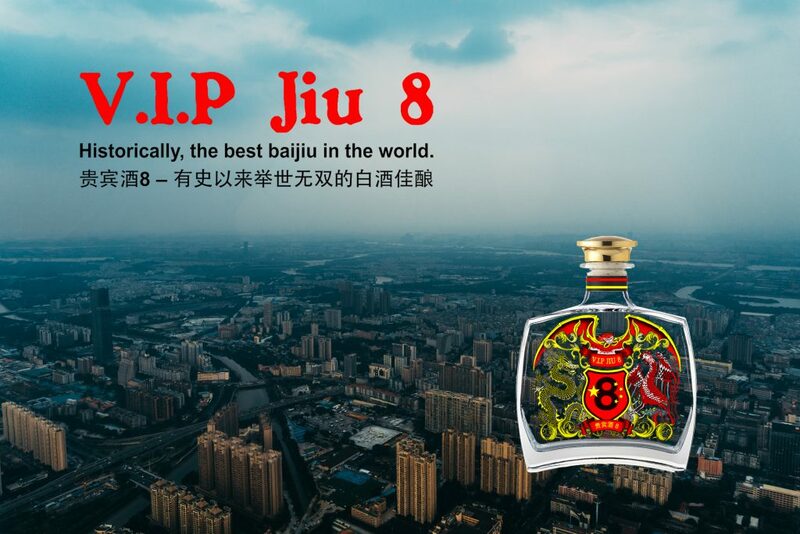 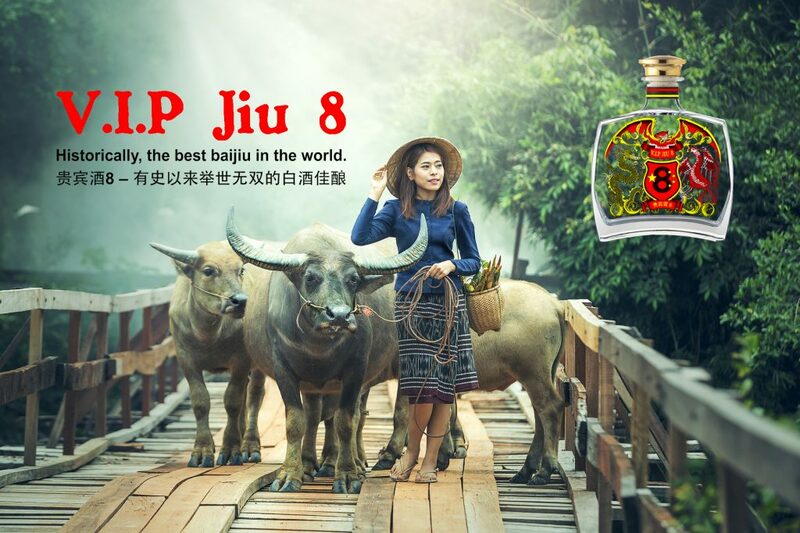 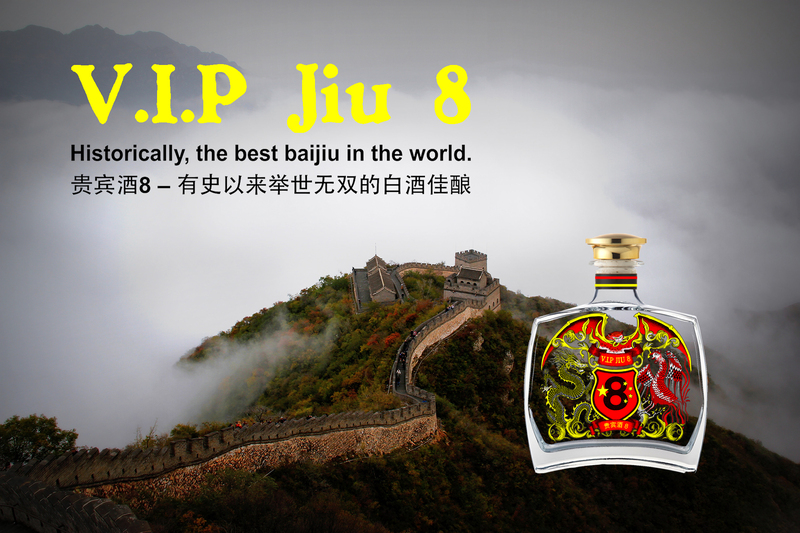 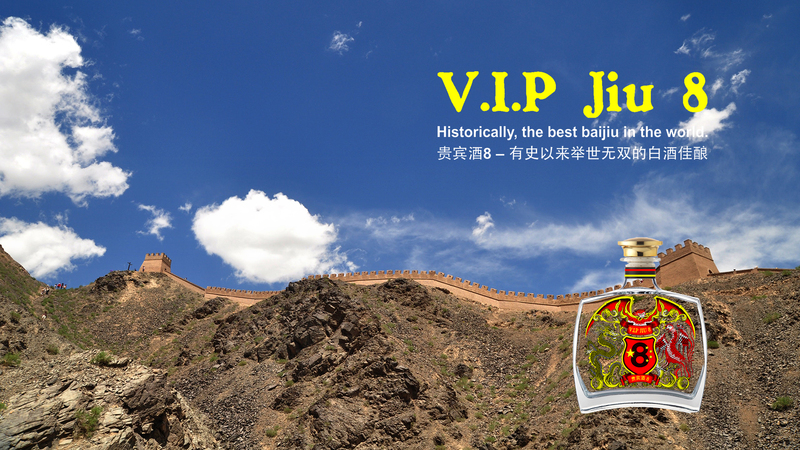 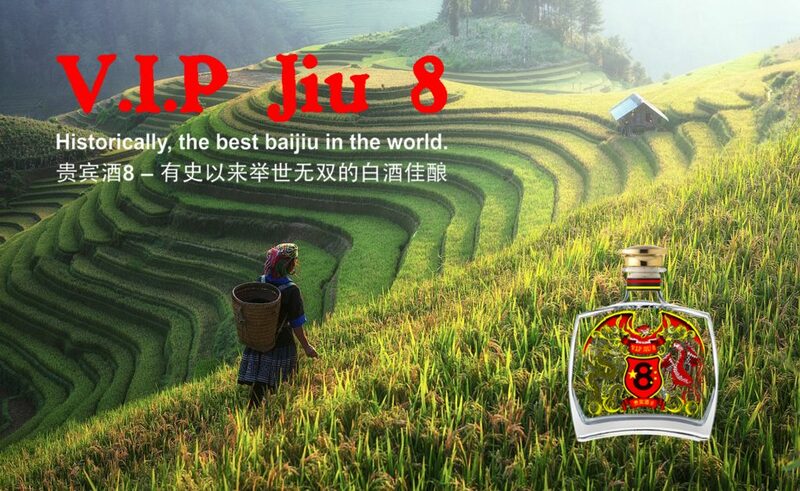 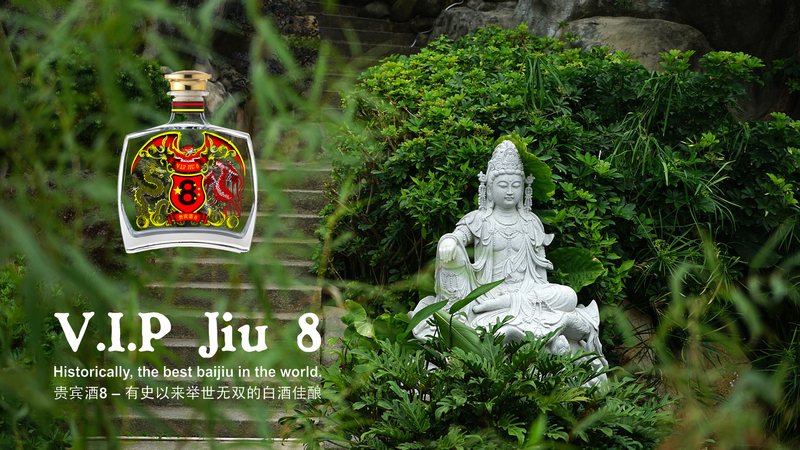 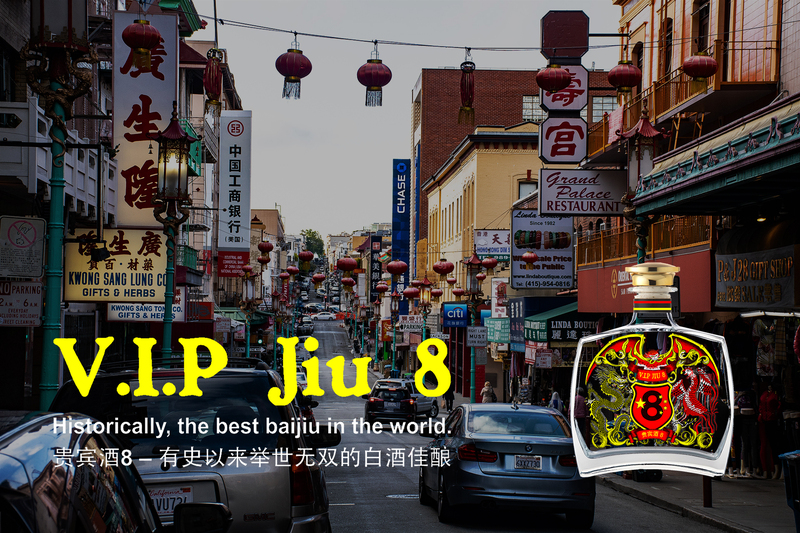 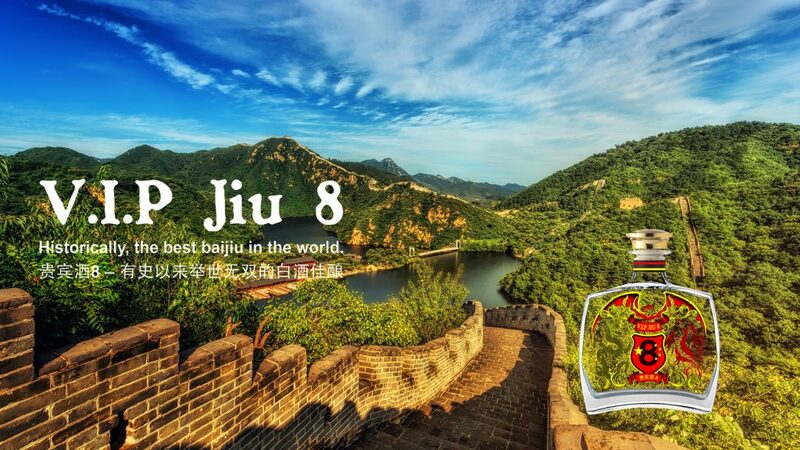 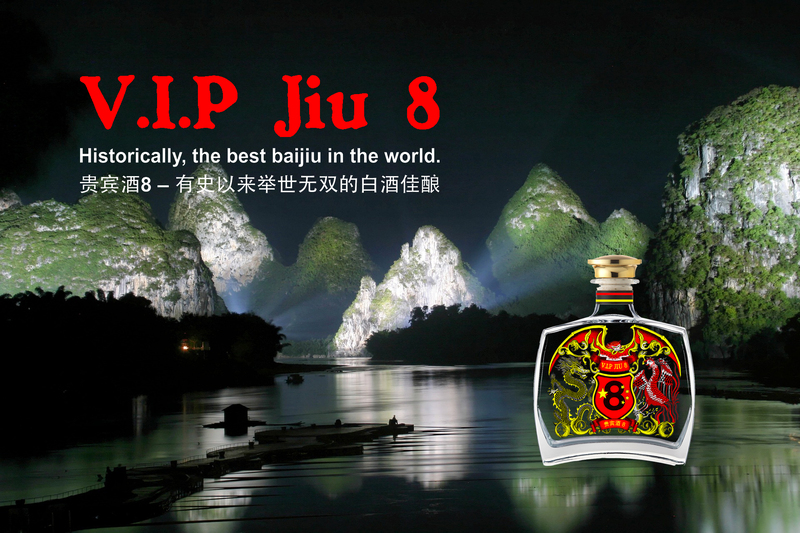 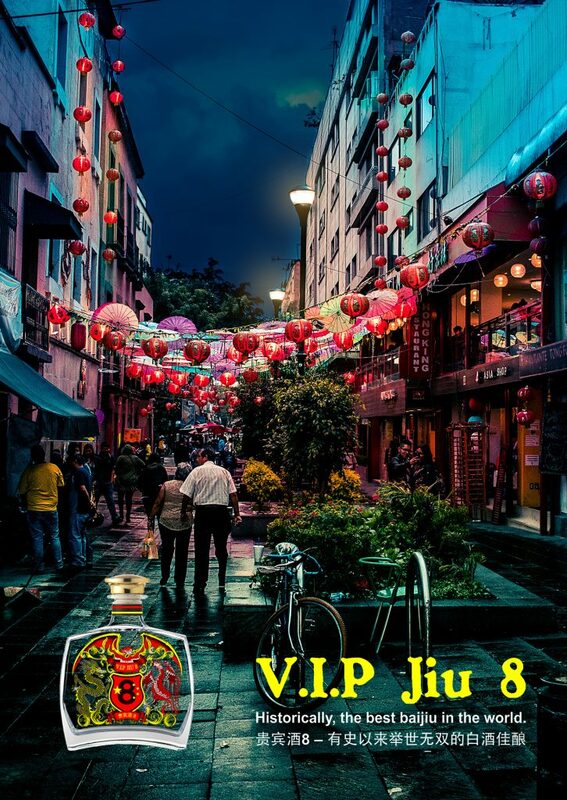 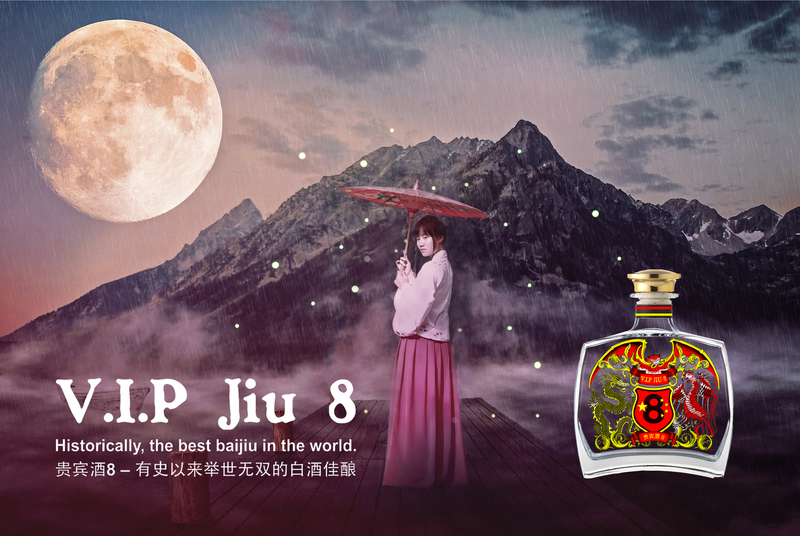 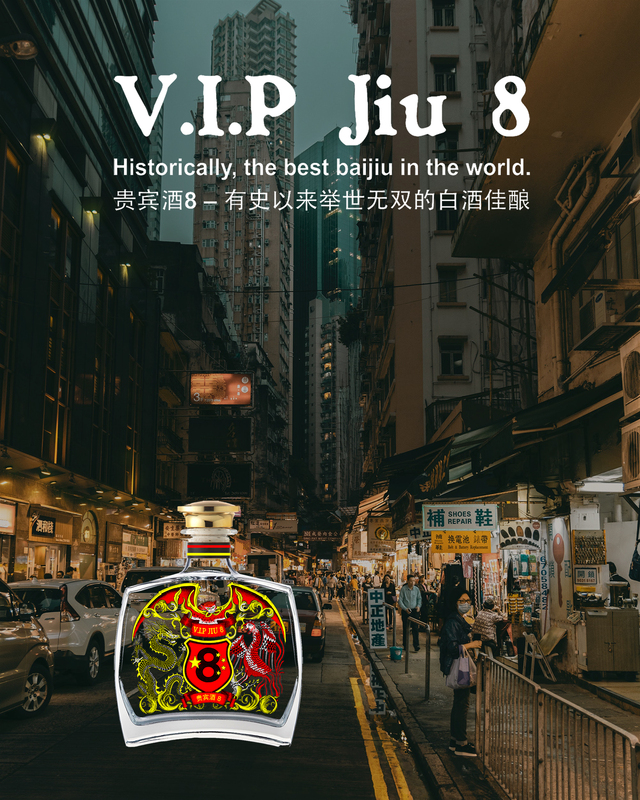 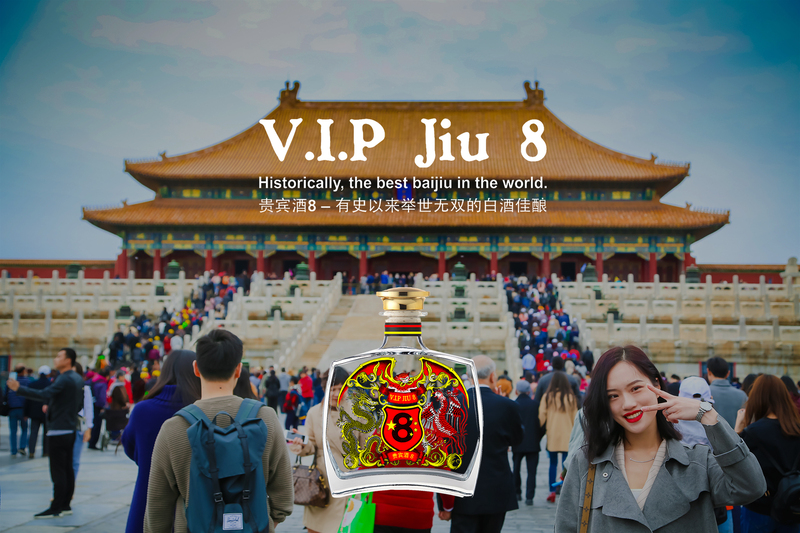 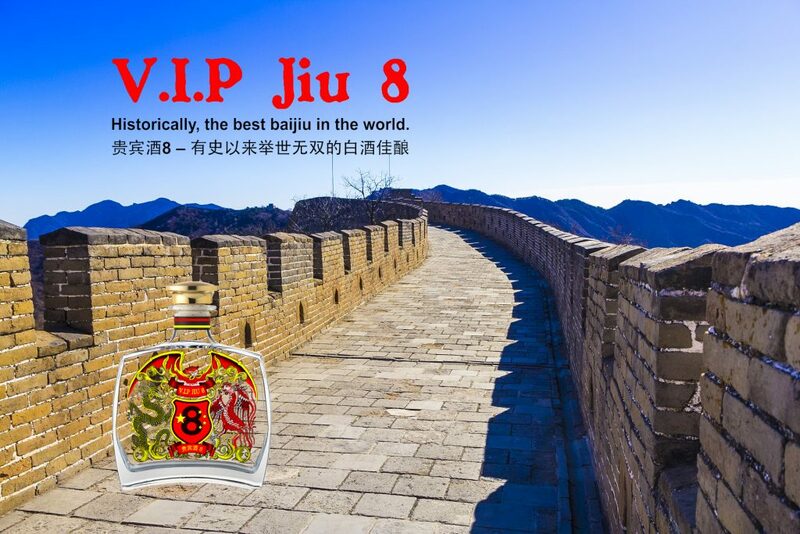 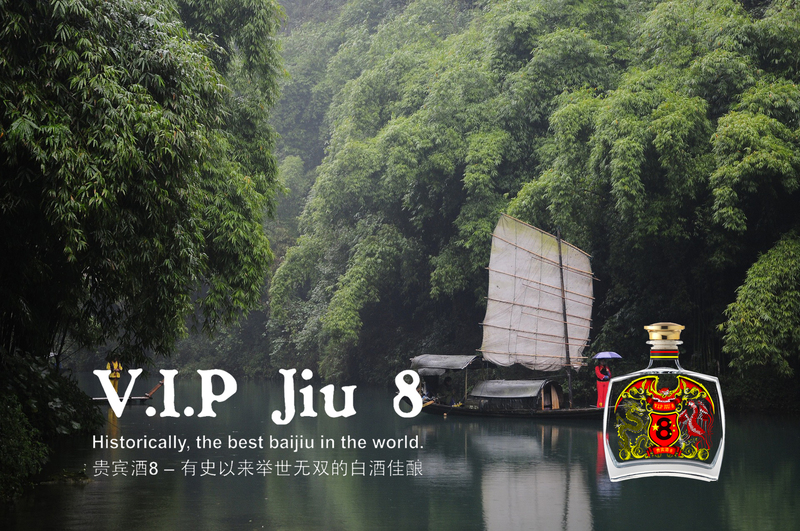 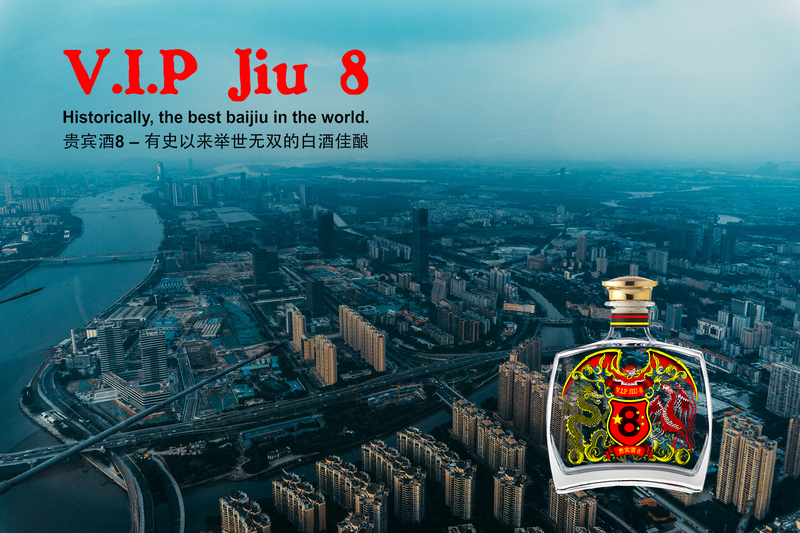 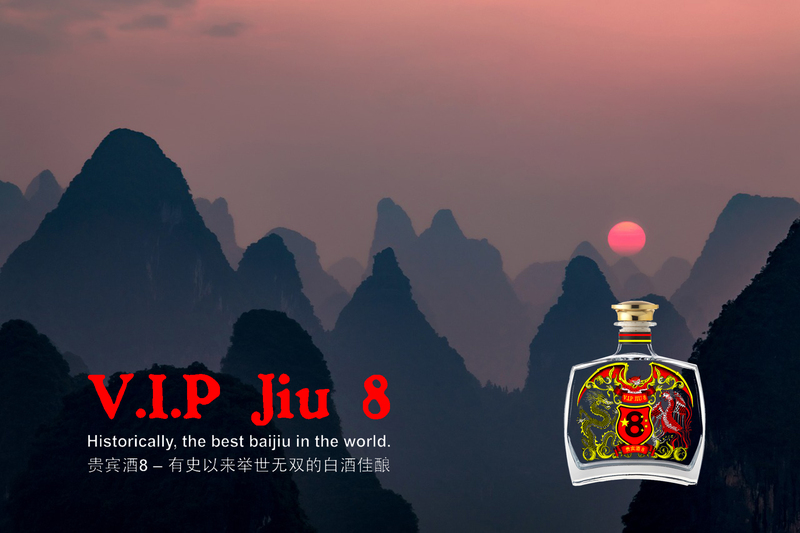 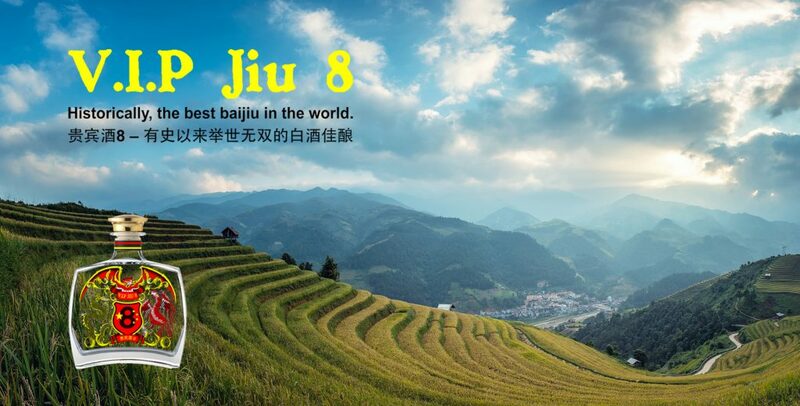 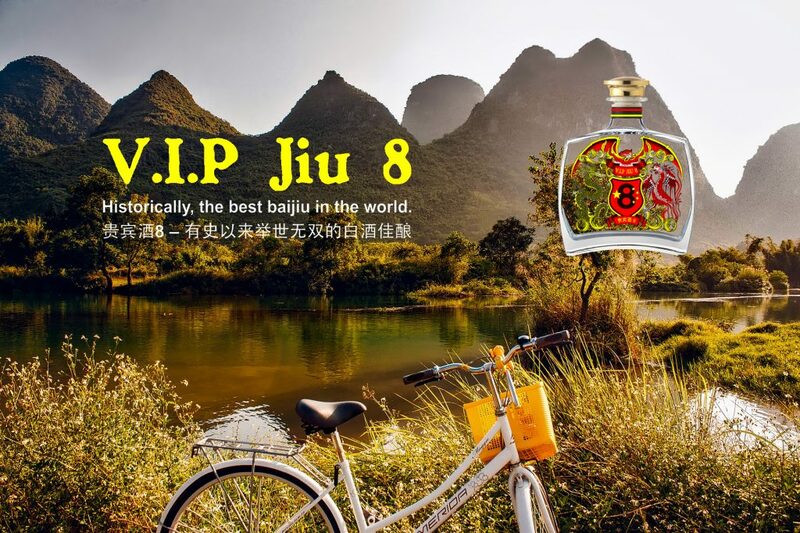 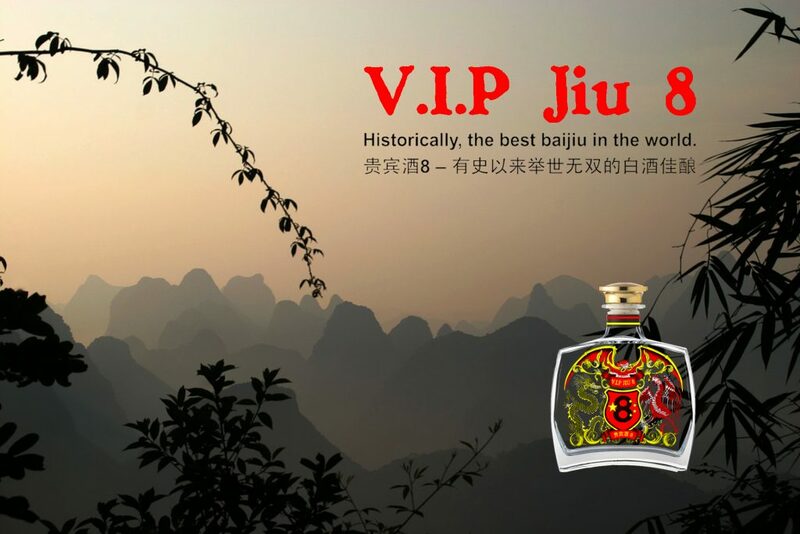 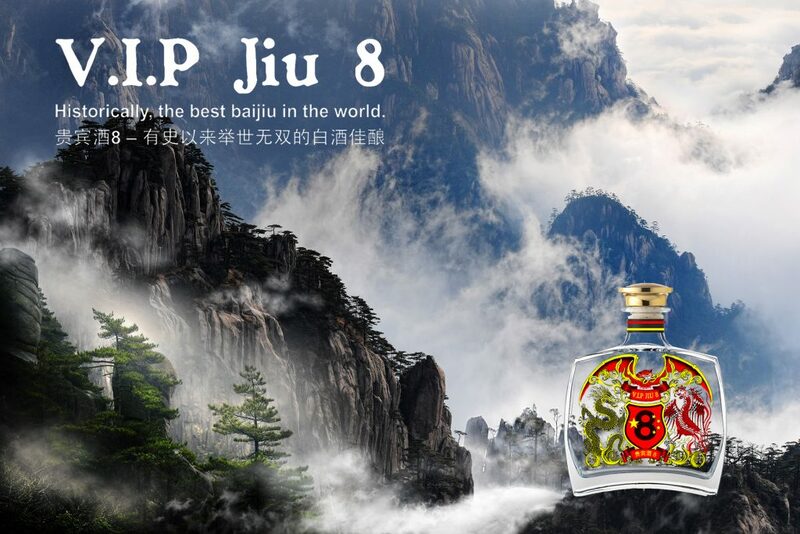 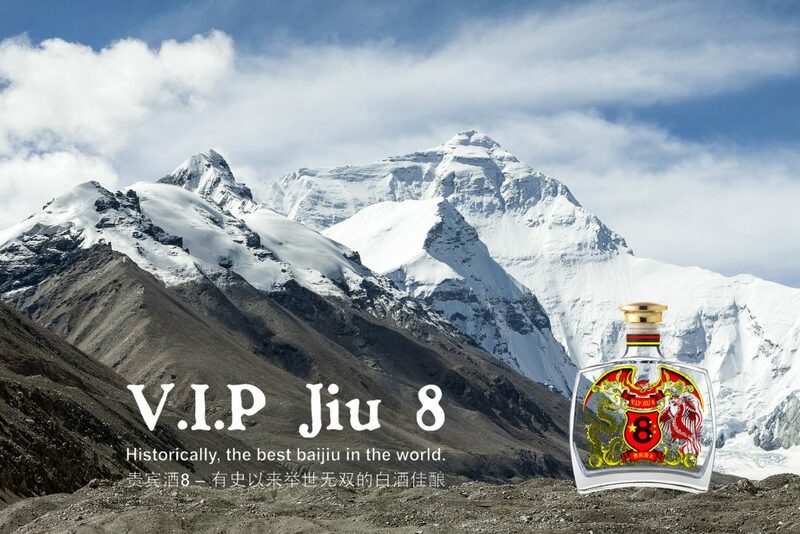 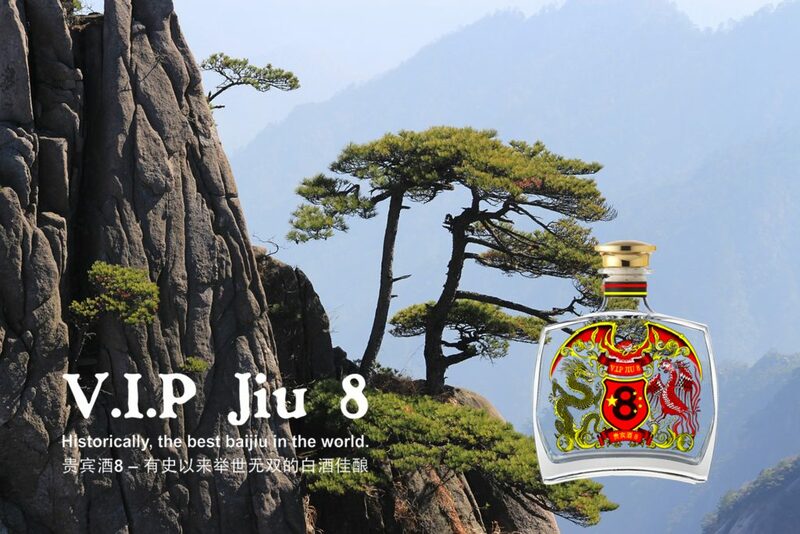 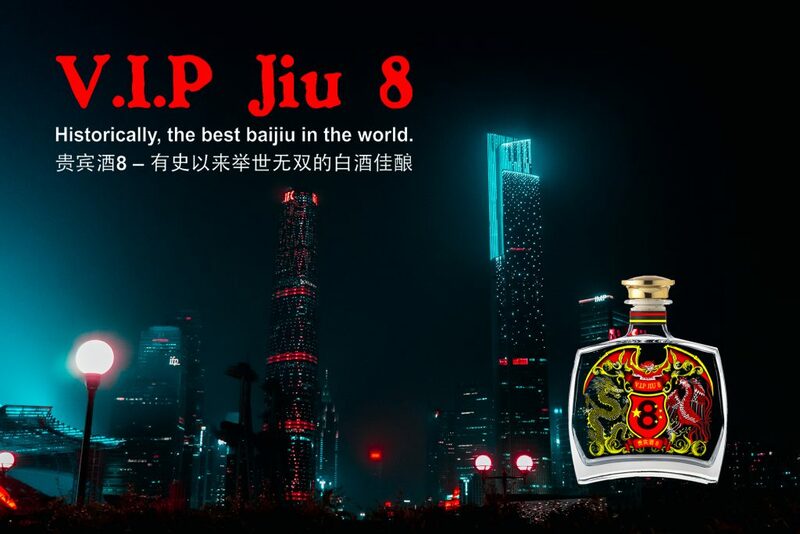 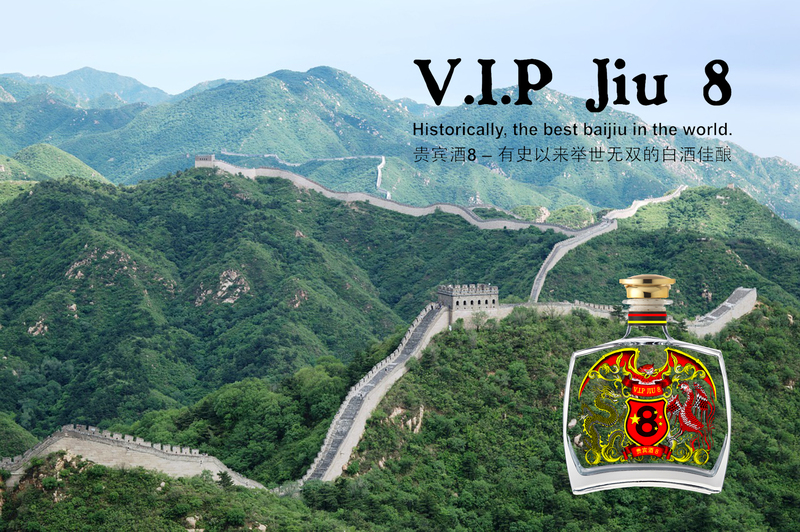 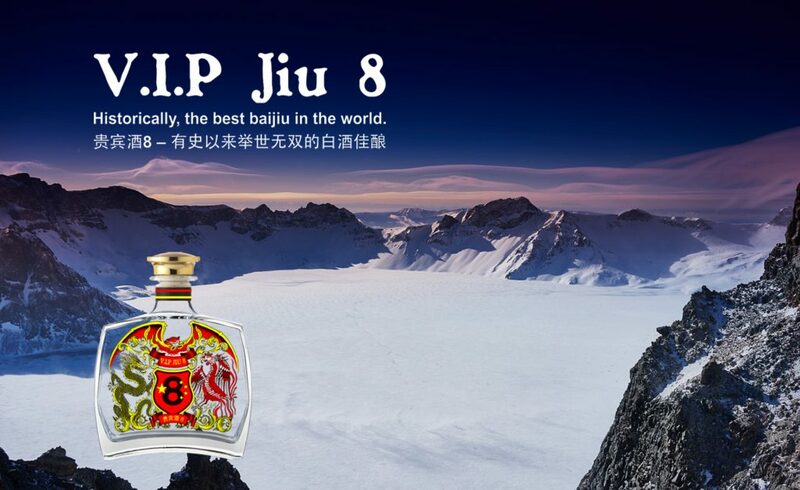 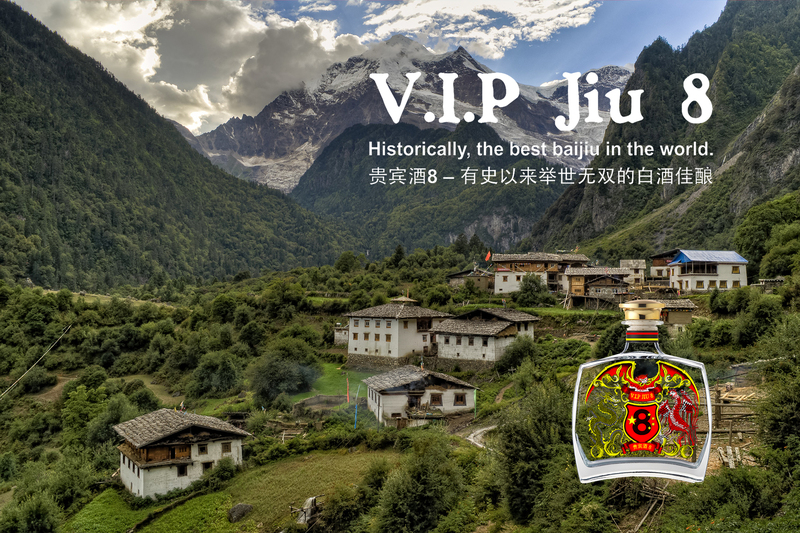 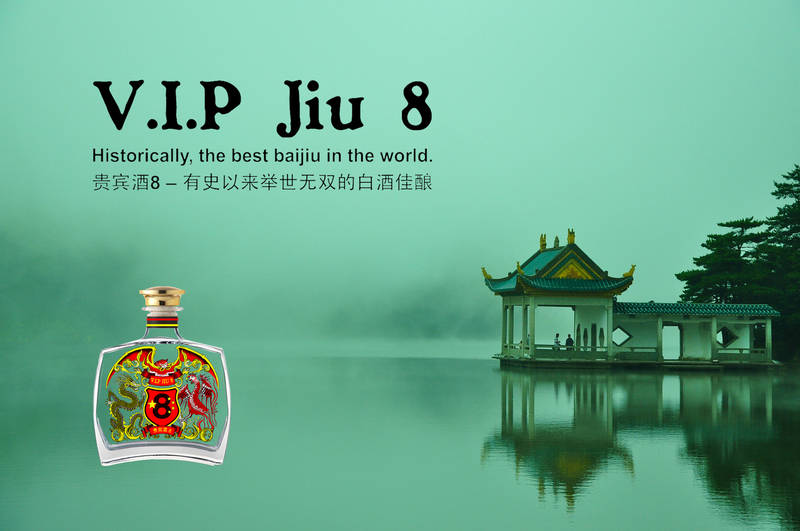 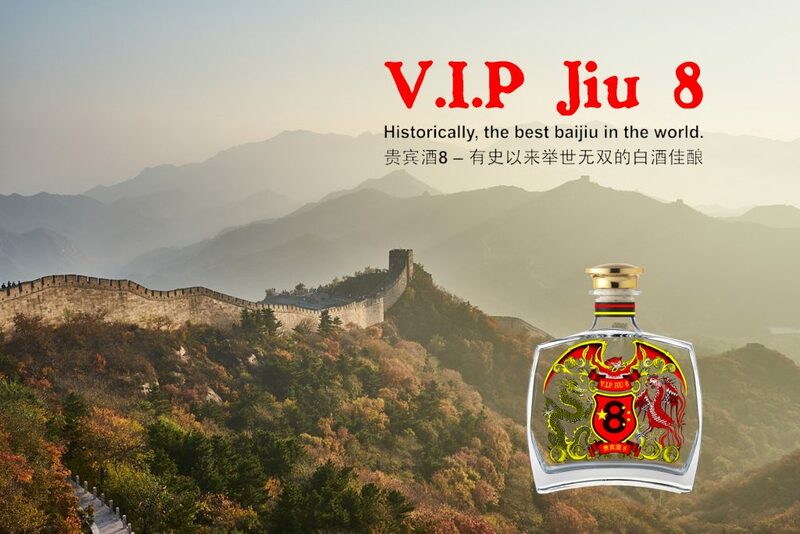 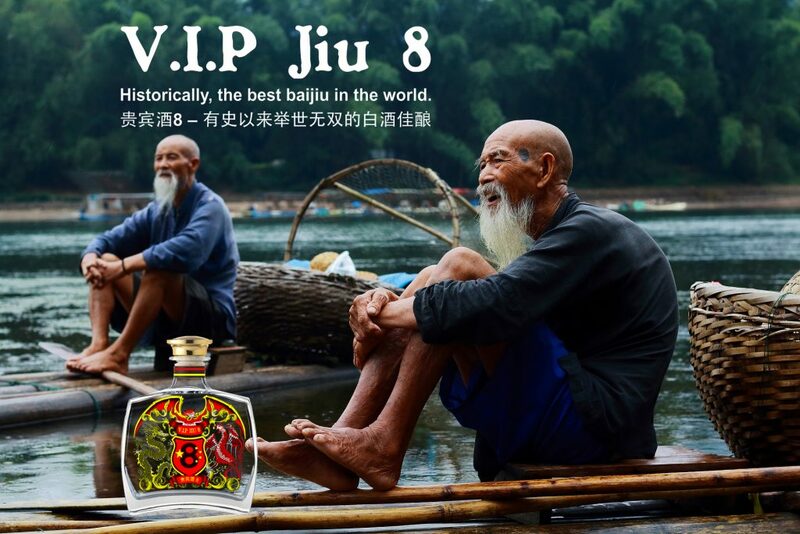 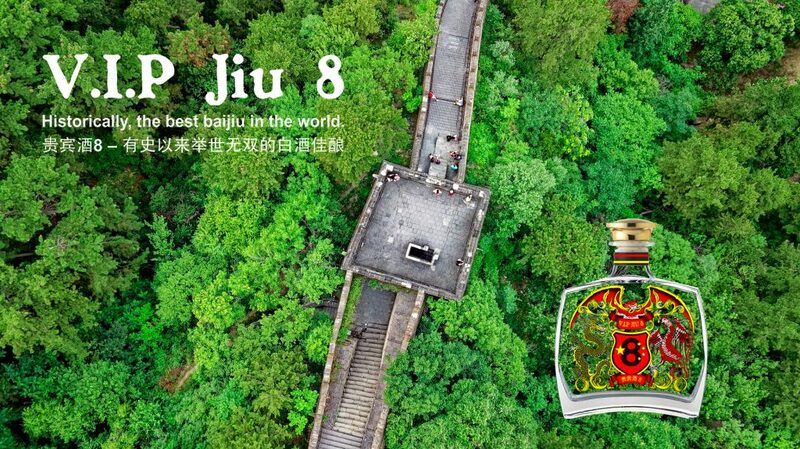 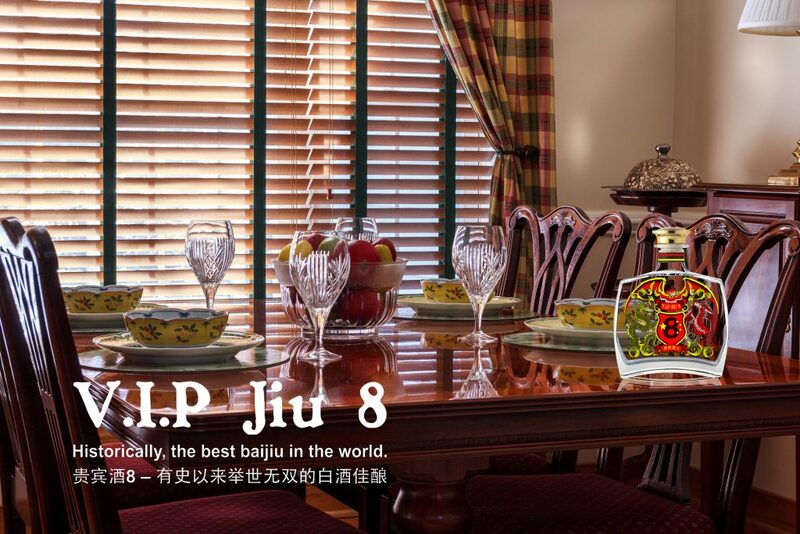 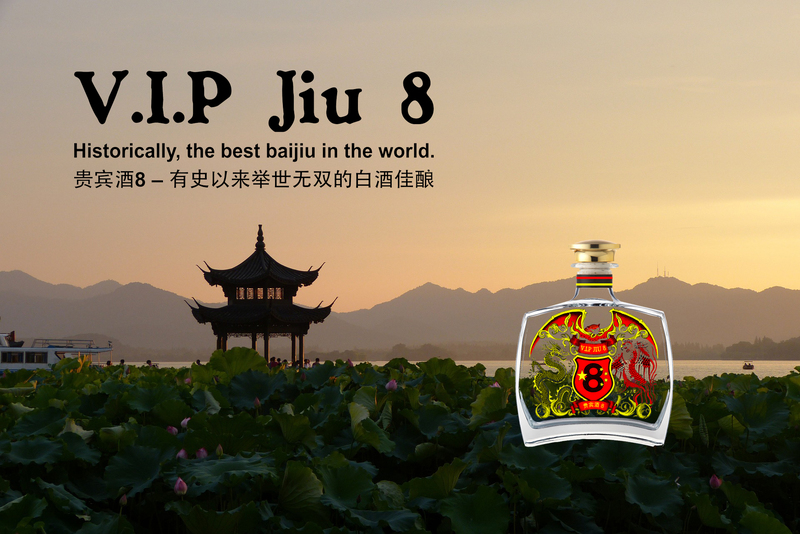 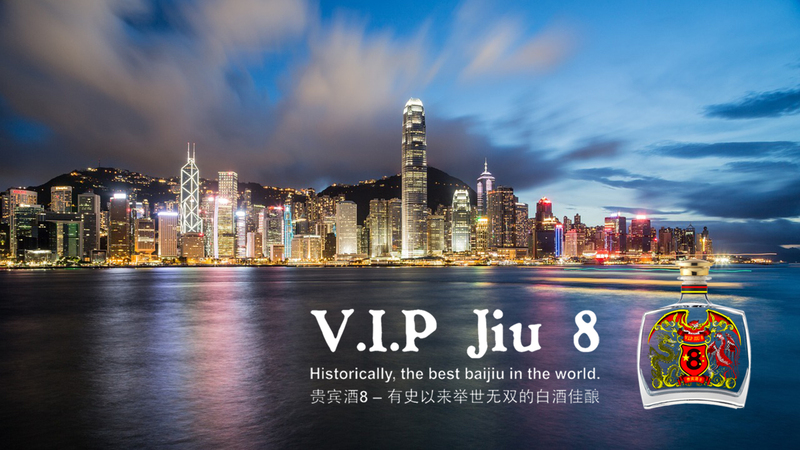 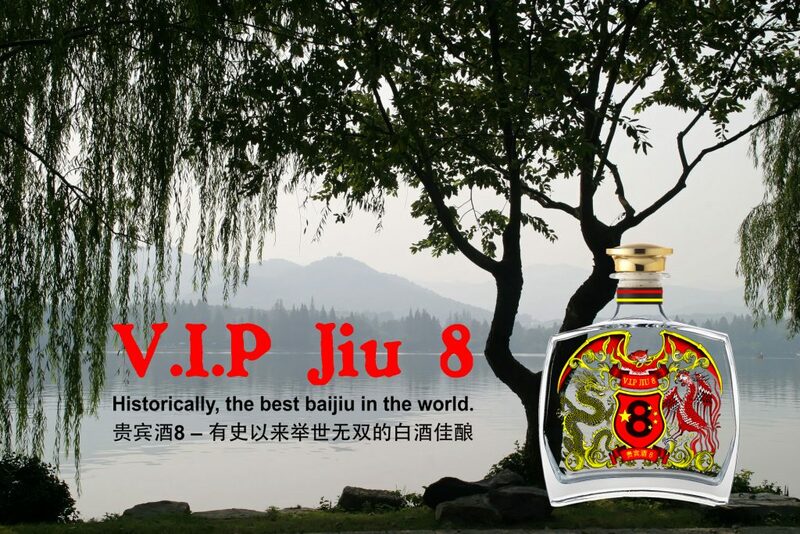 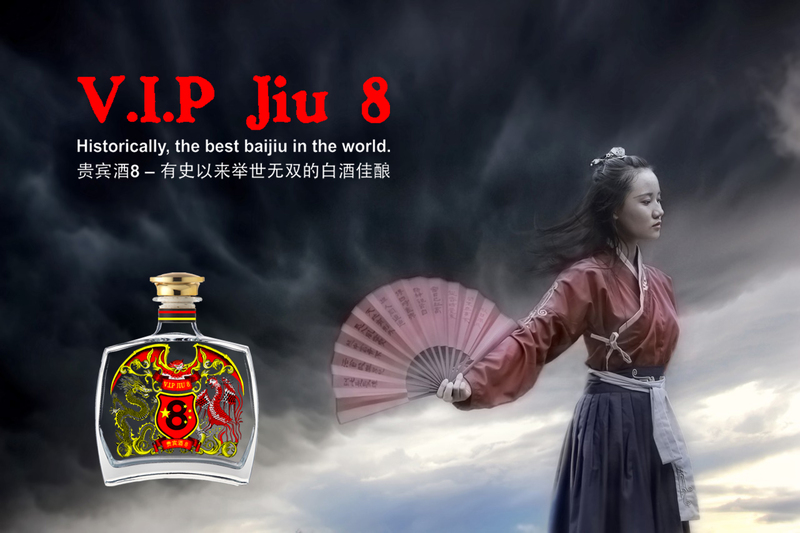 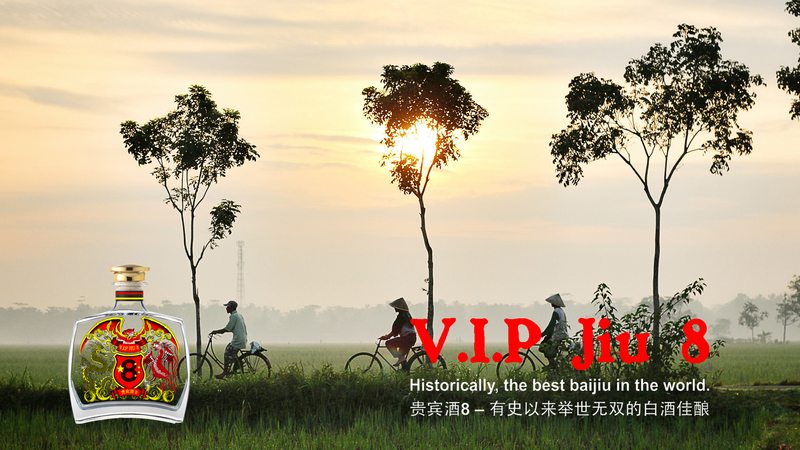 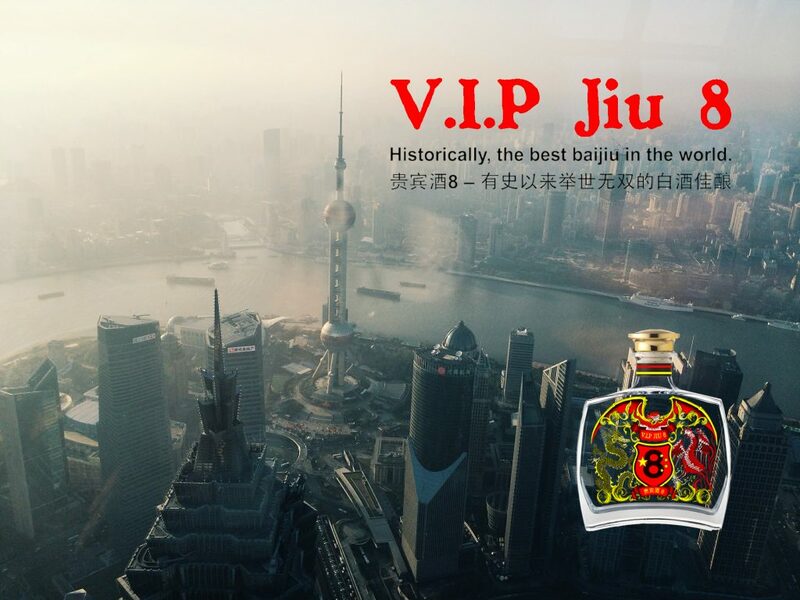 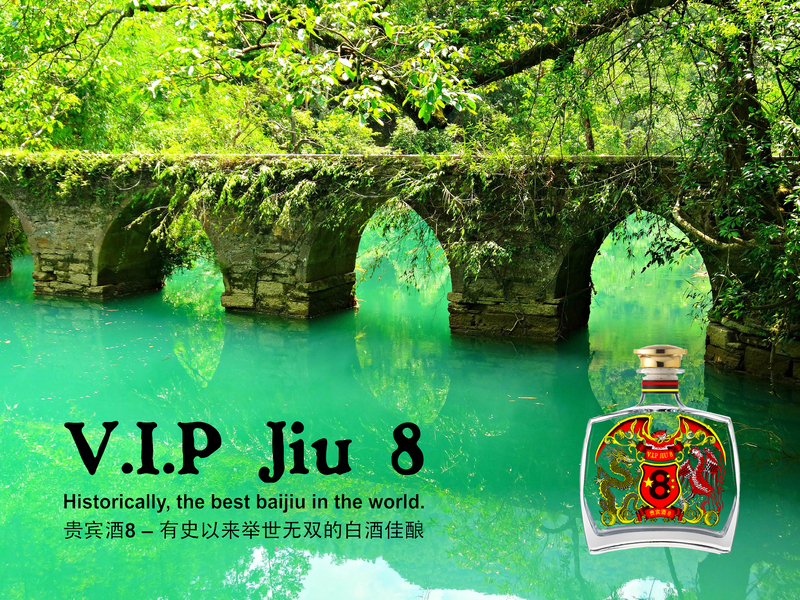 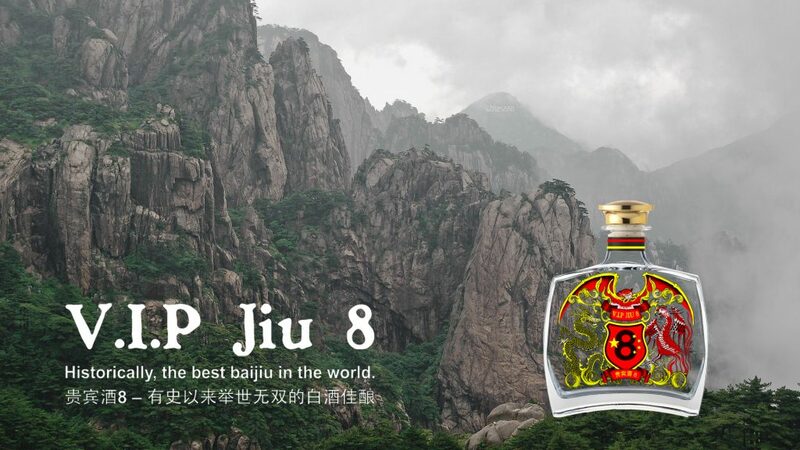 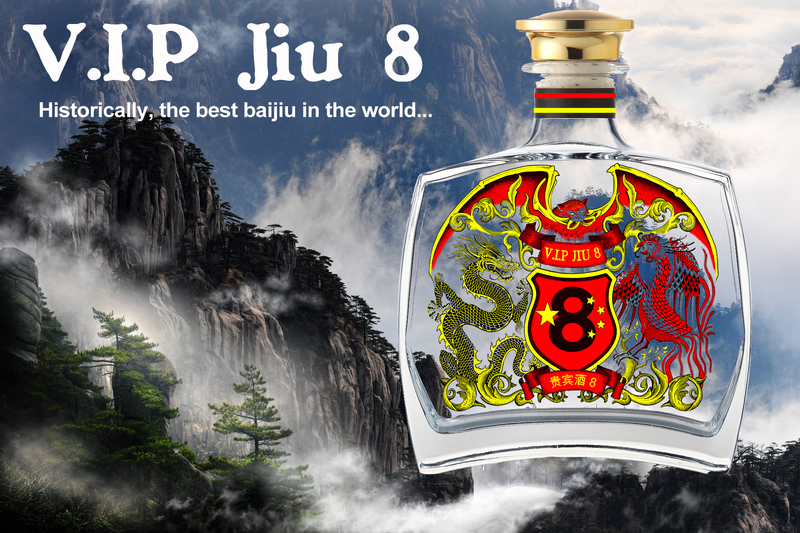 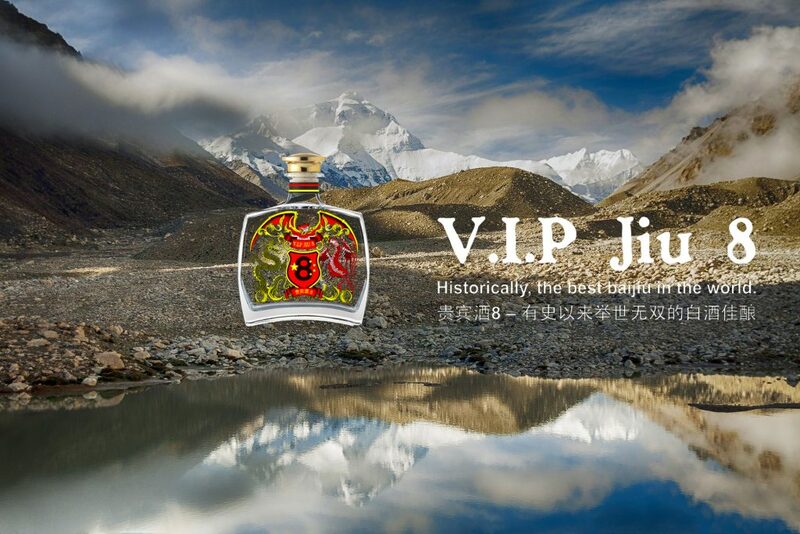 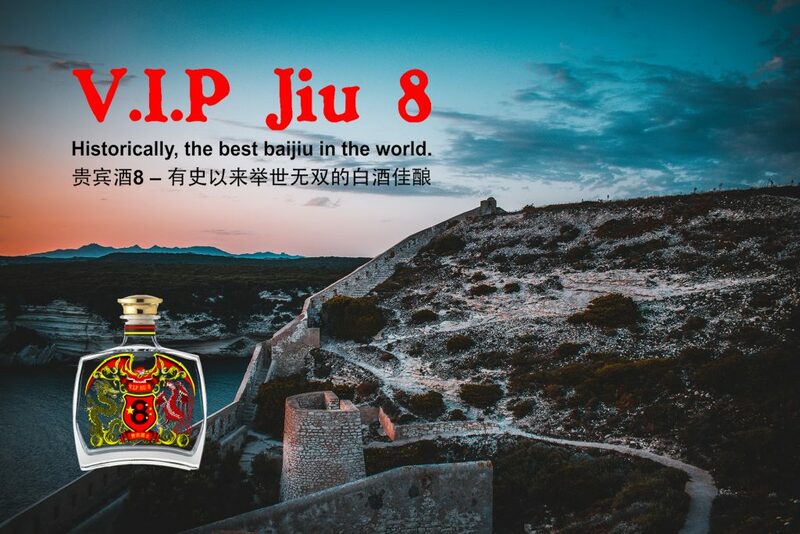 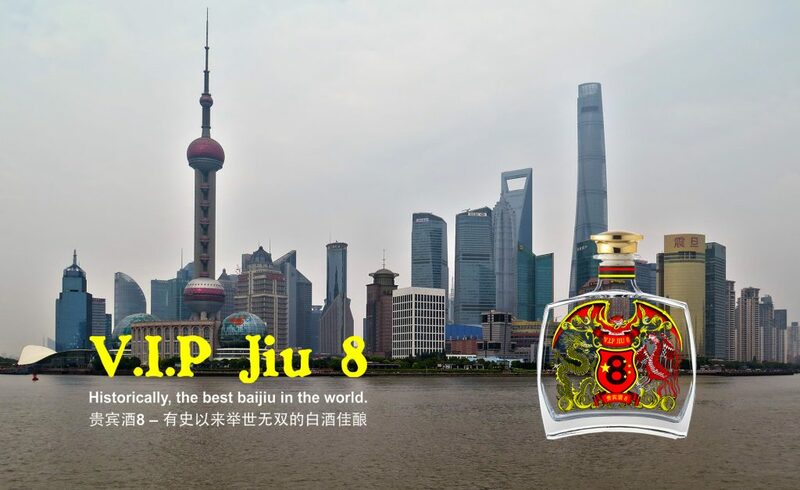 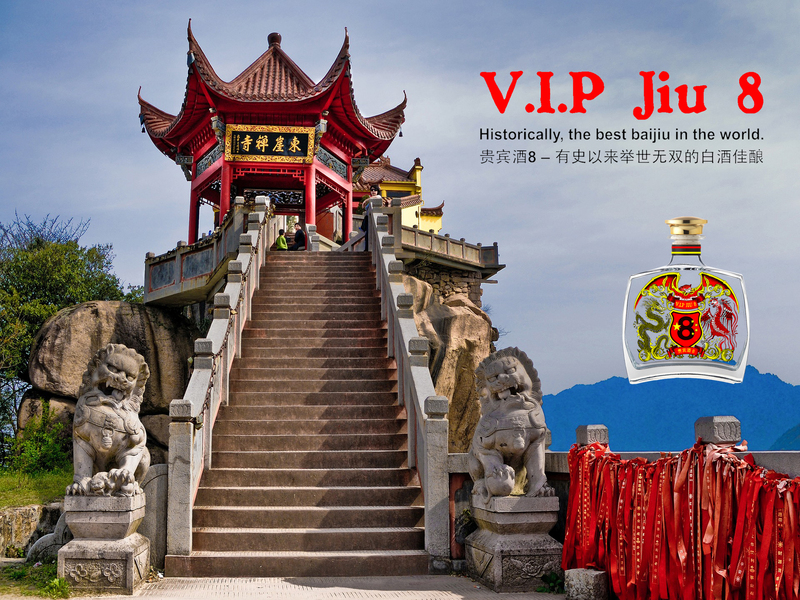 A selection of promotional graphics for V.I.P Jiu 8 baijiu available for use, with commonly used keywords.